Hatfield campus, University of Pretoria. This day will be devoted to the role of 3D modelling in heritage studies, archaeology and geology at the University of Pretoria and in France. The involvement of bioengineering in cochlea implants and mechanical engineering for analysis of human structure will be presented as well. This session will be CPD accredited. The day ends with a farewell lunch where the way forward will be considered. 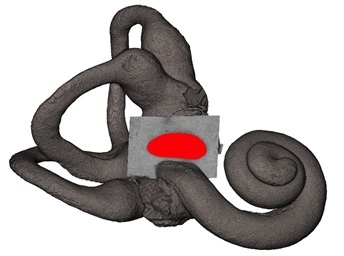 Visualisation of the macro and micro structure of the human cochlea and its application in cochlear implant research.